I’m doing this review, partly for myself (to review and learn). 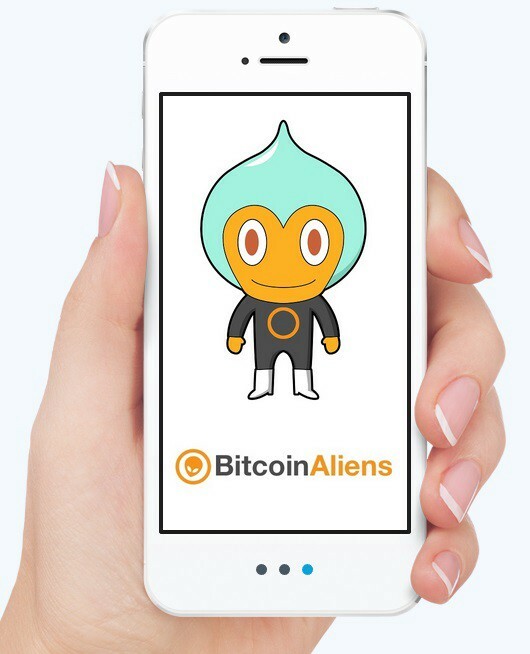 And partly as in 2016, one of my goals is to raise my own profile and build publicity by showcasing our businesses - so I will be blogging on Medium here, and transforming our Bitcoin Aliens Blog to publish business case studies more than bitcoin news.. In late 2014 I started a niche business blogging in the bitcoin space.. in 2015 this took off and transformed in ways I couldn’t previously imagine. I grew 3 web properties (one of which is alexa rank 9000 - the 9,000th highest traffic website in the world), 2 advertising networks (see the next win), gave away 500+ bitcoin ($217k worth - see another win), established 3 x mobile apps with 300k+ installs (another win), along the way I got rejected by Silicon Valley lol (see losses), recruited 4x new full time staff, and just had the most epic business journey; going from nothing to some huge traffic numbers in 12 months - with December’s results being totally impossible to predict / aim for from last January. I’ve called this “foundations” as while I am really pleased with the progress, I am viewing this as just the foundation.. now we have a real solid foundation and amazing reach to really base from and go really big with in 2016. My big win from this year is from accidentally starting a bitcoin advertising network and growing it to a total 1.6 billion banner impressions - with 50% of these coming within the last 8 weeks. It is currently around 1.5 million banner impressions a day, right now being THE largest bitcoin advertising network in the world. This is a real personal achievement I’m pretty pleased with, I’m bullish on bitcoin, I think it is really exciting technology and it’s been a real honor to give away over 500 (I think its around 550+) - which is valued at around $217k at today’s price - to people interested in bitcoin. This has all been given away through our free bitcoin websites and mobile apps - one pays you to kill aliens, another one pays you to read books (one I’m especially proud of), and a few others. In January we didn’t have any apps.. or any clue, in February we started building and by October we had 3x apps and 200k installs - now it’s 300k and our most popular bitcoin game sits 2nd-3rd in both the Android and Apple store if you search for “bitcoin”. I can’t even begin to detail the ups and downs and the learning experience this has been but for sure mobile apps and some exciting things in this space are in the plans for 2016. After the success of building a couple of bitcoin faucets, I wanted to apply the formula to something more real and useful.. Lets step back a second.. a bitcoin faucet is a website that gives away a tiny drip of free bitcoin - lets be cynical, the websites are simple and they pay you to do almost nothing.. so I wanted to take the concept and make it useful - I made paidbooks.com, a website that pays people to read books. It was a 2 month coding project, hiring a new coder, then 2+ months of INTENSIVELY scraping books and pasting them in online. I hired a manager to manage this process and 6x part-to-full time admin assistants - this experience, aiming to go big, acquiring a team out of nowhere.. this was enough to make the experience worthwhile. We now have 500 books online around 80,000 pages indexed in google, the site has around 40,000 users… BUT it’s not profitable but it has probably cost a total of $7–10k in losses - oops. The Positive Side? It’s not a loss (despite still losing money every week as we still pay people to read and it is still loss making each week bring in fresh $ losses each week), unless i kill the site off and this isn’t happening. I think sometimes you have to let go, but this isn’t one of those times (yet?).. at least I haven’t written it off- I can’t truly see anything as a loss..
.. it’s still online and my focus is to change some of the coding and to improve it and make it work (push through the failure). We will change how it works and pays out, and also the login and membership and see if things can turn around. I’m really positive it can and that we can then use the code for other projects which can be more profitable. Also it’s not a complete loss as it does bring us credibility and good publicity and may act as a loss leader to bring traffic to our other profitable projects (? but it’s hard to quantify this accurately, and of course a profitable project which also does this is obviously better! :P). I’m not going to lie, this was a big disappointment for me, I wanted it bad (and thought I had it) - I applied for an incubator focused specifically for bitcoin startups (@BoostVC) in Silicon Valley. After 3 interviews, they turned me down. I was surprised, maybe that sounds arrogant but I thought I had it as 1. we’d grown a lot in a short space of time, 2. I thought I showed I could manage a team and lead an idea from nothing, through development, to profit, and 3. we are actually profitable (not just an idea without any development) and growing. They gave me a reason - that I was only focused on flipping the company and making a short term profit (which isn’t the case), but I can only speculate that it was other reasons too - not liking me? not liking the business model? (it’s not innovative new technology - it is a traditional business model (advertising network), but focused in the bitcoin niche ) - I think this might be the real main reason - they want real, world changing innovation? The Positive Side? This has me FIRED UP! I’m not taking a bitter view, pretending that “hah, those fools, it’s their loss” - as it is my loss :P (BUT since meeting them in mid-late October our traffic has DOUBLED and our profit along with it in just November-December). It would be fantastic to be based in that environment - to actually live in silicon valley and have an office there, with that level of expertise to tap into… and actually I’m going to 1. apply to BoostVC again, and 2. plan a real longer trip to Silicon Valley this year and meet other incubators, investors and bitcoin companies. The whole experience, just 2 weeks in Silicon Valley, was unreal, even to get that far through the incubator process from going there without a contact or meeting, and setting up 5–10 meetings with the world’s biggest bitcoin companies - the whole experience was amazing. To be the largest media company in the bitcoin space. Not to be just a news blog, not to be just a few bitcoin games, not to only be an advertising network - but a complete media suite of bitcoin web (and mobile) properties which add up to a portfolio which is undoubtedly the largest media company in the bitcoin space. AND importantly not just in the “micro bitcoin” space where we sit now, but in the mainstream bitcoin space.